How do you earn experience (EXP) points? 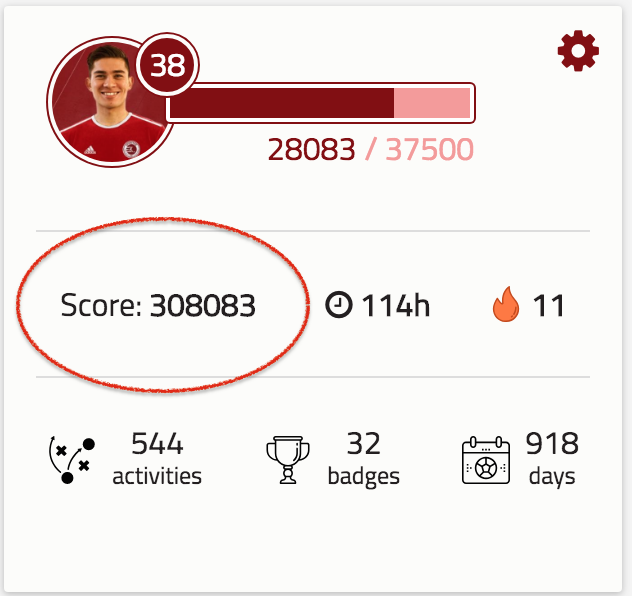 Points help you quantify and track the amount of hard work you’ve completed over a lifetime. This short little guide will explain what are experience points, how you can earn points in Effective and how much. If you take a day off, or a week off, you can come back and see how much work you’ve put in over a lifetime with confidence knowing that you’ve put in work, not having lost anything (except in the case of injury or break where you may need a few days/weeks/months to re-build fitness and strength to previous levels). The number of points are defined by intensity and duration. Every repetition (rep) of each exercise comes with a certain number of EXP based on the intensity and difficulty of the exercise. For example, one rep of Inside Taps (10m of dribbling with the insides of the feet) is worth 3 points, whereas non-stop stepovers (Doing stepovers non-stop for 1 minute) is worth 37 points. Above: examples of how many points you can expect to earn per rep. 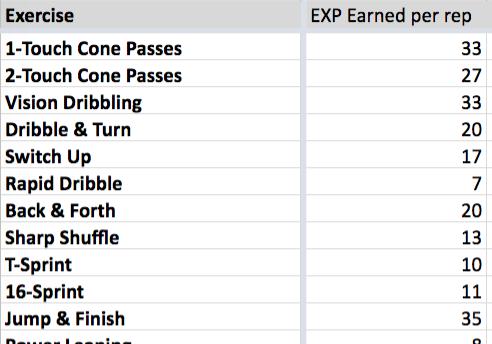 The more reps you do, the more EXP you earn. Team trainings, matches and cross-training’s work differently. Two things matter when you do them: The duration and the intensity. Because the intensity is self rated and therefore highly subjective, how you rate yourself has a minimised effect on the score - but in any case you should always answer truthfully. It’s important because later you can look back and see what activities made a positive impact on intensity levels. 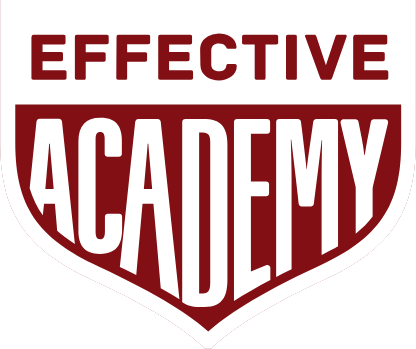 You can also earn points through the different activities and accomplishments you complete on Effective. For example by watching Game Brain videos or Classrooms. How many points you earn for every minute is defined by Train Effective but one should understand that you earn experience points because every minute you spend watching a Game Brain or Classroom video will make you either a smarter or mentally stronger player. 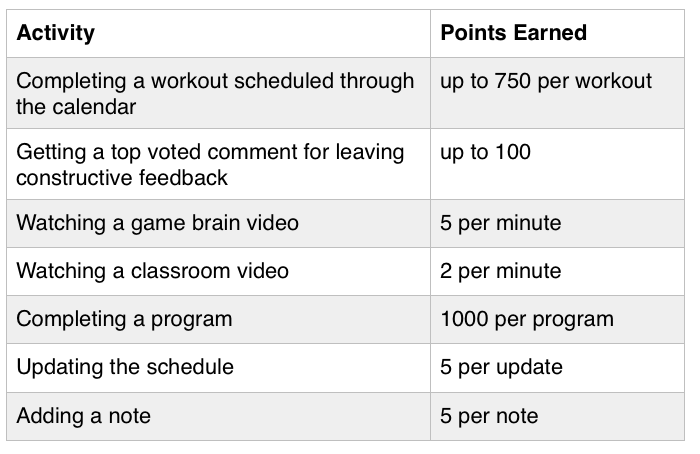 See the table earlier in the article to see just what ways you can earn points.